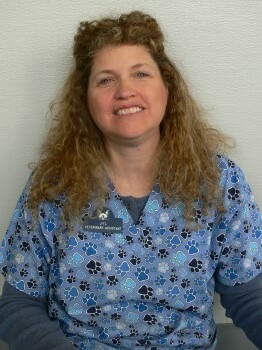 Sherri Oleniczak: (Receptionist) was born and raised in Ludington and has worked at VMC since June 2001. She married her high school sweetheart Tim and they have 2 beautiful daughters, Shelby(and a son-in-law Ase Personette) and Rylie. She has a rescue dog, Lola a Rottweiler and a cat, Maxwell. 2 grand-dogs, Stella a Rottweiler and Murray a Labrador. In her spare time away from the clinic she enjoys spending time with her family and friends going down the river in a kayak or floating out in the lake on the pontoon, also reading, baking, campfires, shopping, and trying to make more time for travel. Lindsey Nash: (Veterinary Assistant) Grew up in Ludington and began working at VMC in June of 2011. She shares her home with 4 cats, Oreo, Cortez, Muffin and Sassy, and 2 dogs. In her spare time, Lindsey loves taking her two dogs, Malaia and Schemmy to the dog park. 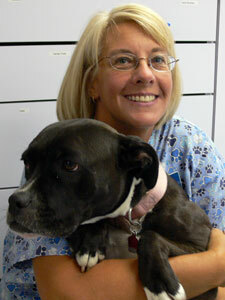 Jyl: Has worked in veterinary offices since 1988. She has assisted in everything from surgery prep and monitoring to answering phones and scheduling appointments. She worked full time until the birth of her son in July of 2000. After the birth of her daughter in February of 2003, she started working part time. Because of her love for animals, she currently has 8 cats and 3 dogs. If you have a cat question, she can probably help you out! Hi, I'm Michelle and I grew up in Ludington after moving here from Buffalo, NY when I was five years old. I've been with VMC since April of 2014. My cats, Hamilton and Kennedy, and my dog, Tipper are all patients here! When I'm not at VMC I like to spend my free time reading, running and watching the latest movies with my family and friends. Hi, I'm Casi Taylor. I moved to Ludington in 2013 from Maybee, MI. I played basketball at Jackson Comm. College for 2 years. I started working at VMC as a veterinary assistant in 2013. I have two dogs, Chloe (German Shepard) and Zeus (Golden Retriever). Carol Bush (Veterinary Assistant) has lived in West Michigan most of her life and graduated from Calvin College with a Bachelor of Science degree in Biology. 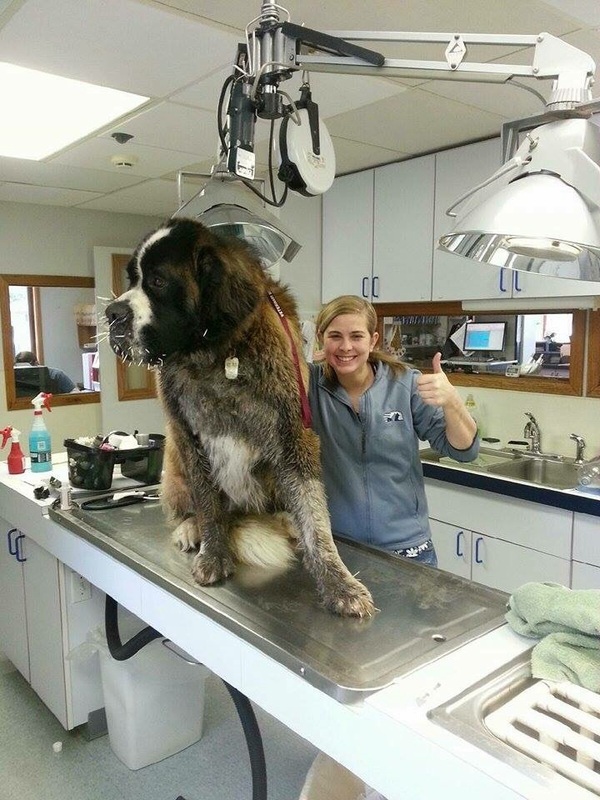 She moved to the Ludington area in September of 2014 and began working at VMC in December of 2015, fulfilling a lifelong dream of working in a veterinary clinic. She has had a variety of pets in her life, and currently has a very needy, always looking for attention Black Lab named Kenai. She is married to a wonderful husband and has three daughters. In her spare time she enjoys running around to her daughters' sporting or musical events, numerous outdoor activities and traveling.